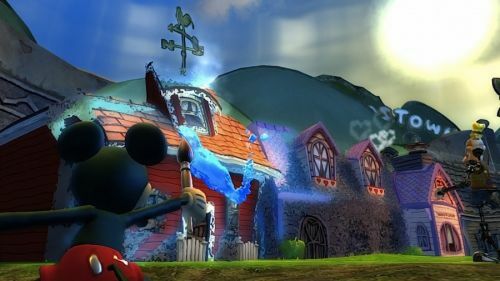 There will be a few new features made exclusively for the Vita version of Epic Mickey 2. Ad hoc network functionality is being added for the cooperative experience. This means Mickey and Oswald will be teaming up again. There are also new ways to control the game that are exclusive to the Vita's touchscreen. Paint, thinner, and Oswald's electric beam will all be controllable with the touchscreen, as well as camera control while driving. Other special touchscreen mechanics include giving AI instructions, sleecting and dragging sketches, bursting bubbles, and navigating menus. Look forward to Epic Mickey 2 for the Vita on June 18th. It will support two player cooperative play via ad hoc network functionality. Page created in 0.4600 seconds.